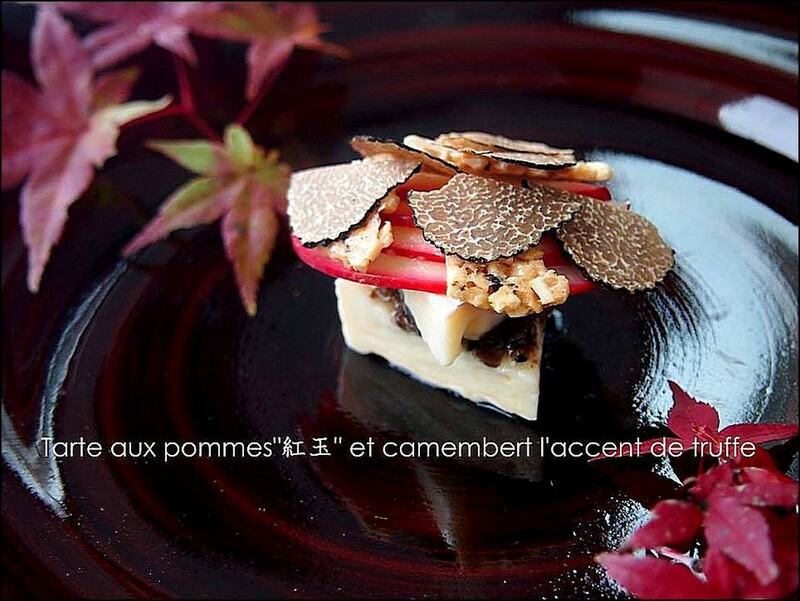 Mention innovation, passion, drive, architectural precision and the Japanese aesthetic vision, for what is next in Japan´s culinary world and Chef Keiichi Hasimoto´s name is sure to follow. This celebrated and savvy young culinary gun and architect, is re-defining the future of his culture with everything extraordinary and new. 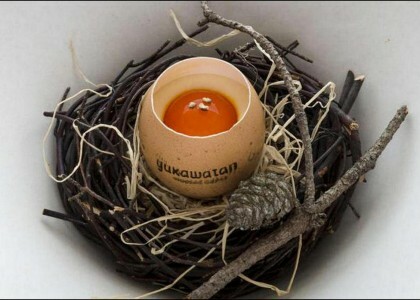 Self described, in his culinary philosophy, Chef Keiichi revealed, he balances Japanese and universal ingredients with French classic techniques, always adding an element of surprise with the simplicity of the components, weaving a cohesive story based on seasonal availability, color sensation and his native Japanese aesthetics . Chef Keiichi further expressed his views as follows, all true adventures begin with images, and are given shape by the local ingredients, he employs, and the compelling aromas of sensual foods served in a enchanting environment. Inspired by the evocative architecture of his homeland and the enchantment of the Pacific Rim and France, he creates memorable recipes and stories that savor the mysteries of taste, aroma, touch and visual, by merging the classics of French techniques with authentic indigenous Japanese local ingredients, including Japanese Permission fruit, a herb called Benitade, often called a Water Pepper and Sake, a rice wine. 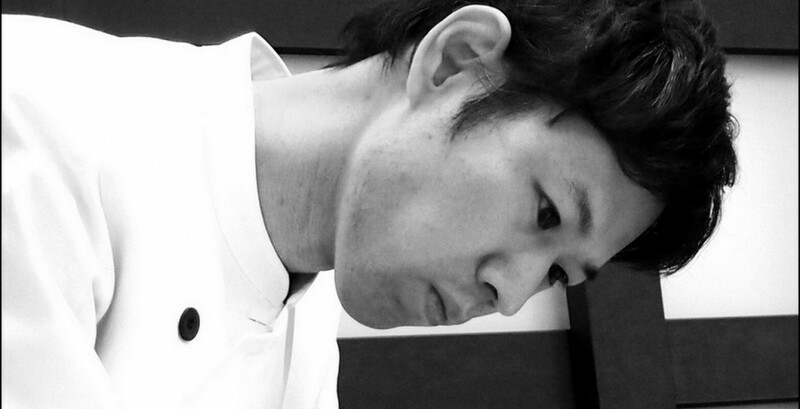 Chef Keiichi was born and raised in Shunan-shi, Yamaguchi, Japan. 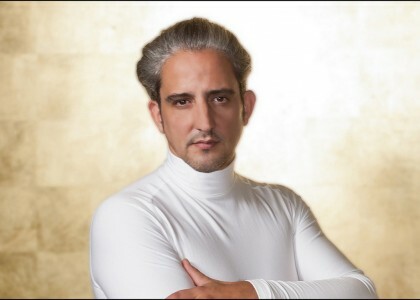 He is the creative force behind his gastronomic career, and Executive Chef at Restaurant Sagan, and he continues attending a variety of culinary courses to further develop his advanced skills. 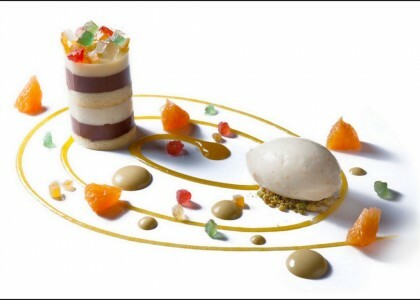 His spin on Japanese is somewhat less conventional however, and his key is, never losing the aesthetics of his native home cuisine or the classic French techniques. 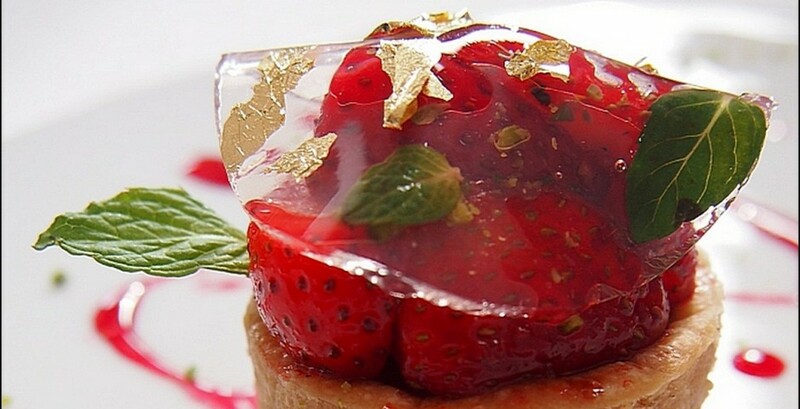 Furthermore, Chef Keiichi is also a student completing his degree, in the study of the art of architecture, at the Institute of Architecture and Technology. 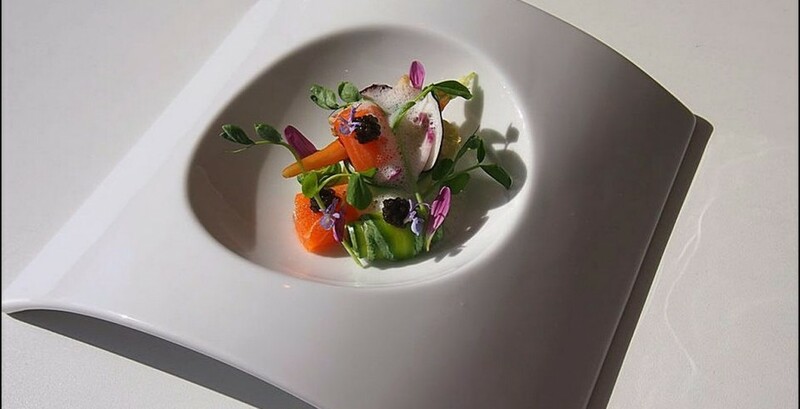 Moreover, he has stated, that this is the reasoning behind his dressage and plate presentations, as he engineers his porcelains with great precision, and dressage formalities as the dishes are carefully designed step by step in their Japanese finery. 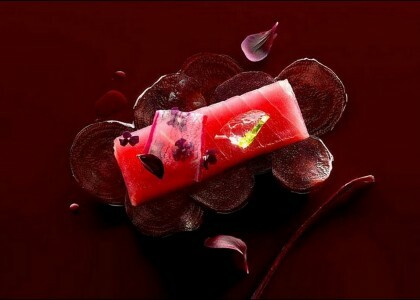 Chef Keiichi, often called The Magician, or Le Sorcier or El Mago, revealed that the study of design, and architecture, has inspired his use of shapes, forms, color hues, tones and sketching, and has further developed and motivated his profound appreciation for the culinary arts. Where were you born and raised ? Tell us about your culinary philosophy. I highly value the balance of the Japanese ambiance, coupled with an element of surprise, simplicity of product selection, a sense of the seasons, the color sensation of each season and the tones and hues of The Japanese gastronomic aesthetics. 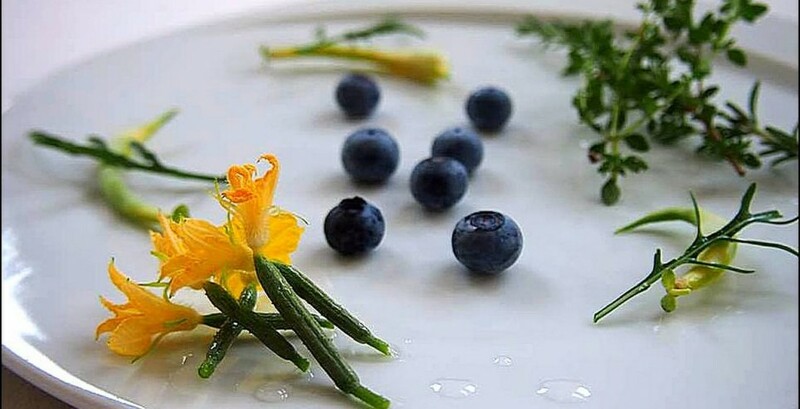 What indigenous Japanese ingredients do you employ in your recipes ? My favorites are Kaki Sec, which is a Japanese reddish orange Persimmon fruit; Benitade, an indigenous herb called a Water Pepper and Sake Lees, a Rice Wine. What do you think of the popular television programming and the way the people adore the Chefs, and especially the artistic aspect that is highlighted ? These television shows, occasionally have a brilliant side. There is the effective far reaching expansion worldwide of our names, and our abilities. However, it is far from reality and has a tendency to carry things to an excess. 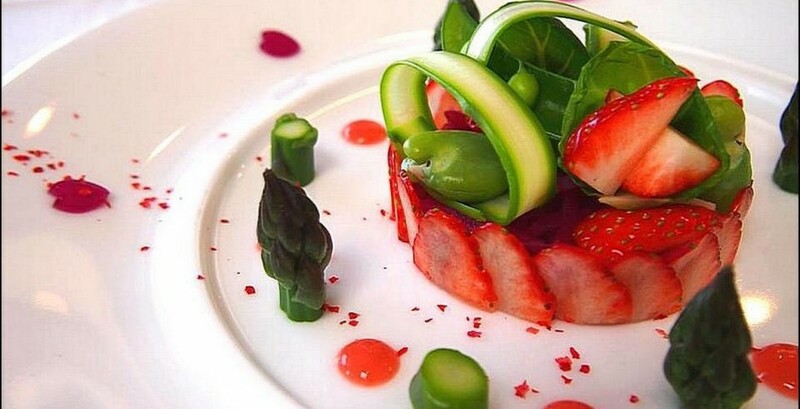 Do you think it is important to devote time to the labor of dressage and presentation of a dish before serving it ? It is quintessential to devote time to the labor of dressage and presentation as part of the Japanese aesthetics. 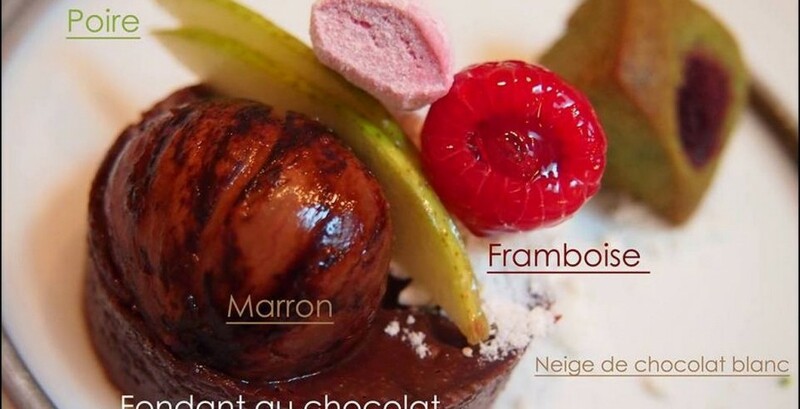 The first impression of a dish has a definite effect on expectation. 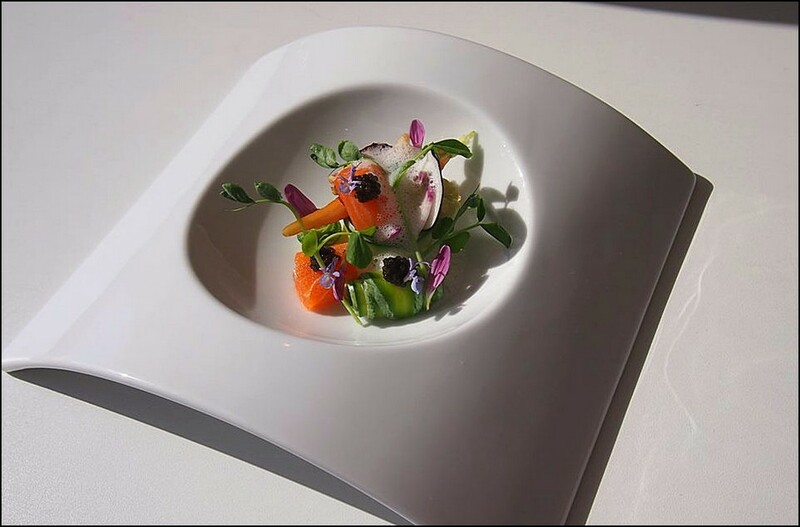 What are the customer´s feedback on the artistically presented plates and what do they say ? Their reactions ? The most impressive comment I have heard was: “ It is like an amusement park “. I am very glad, because I have always thought a restaurant is not only a place to dine, but also a place to enjoy, just as an amusement park is. 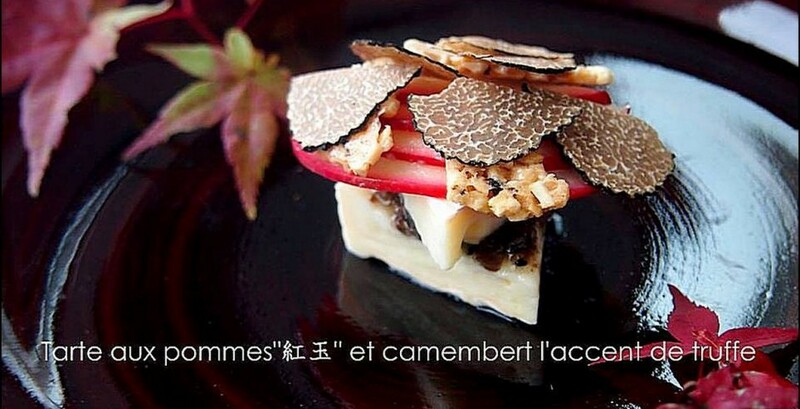 Chef Keiichi, great comment. Thank you for sharing it. 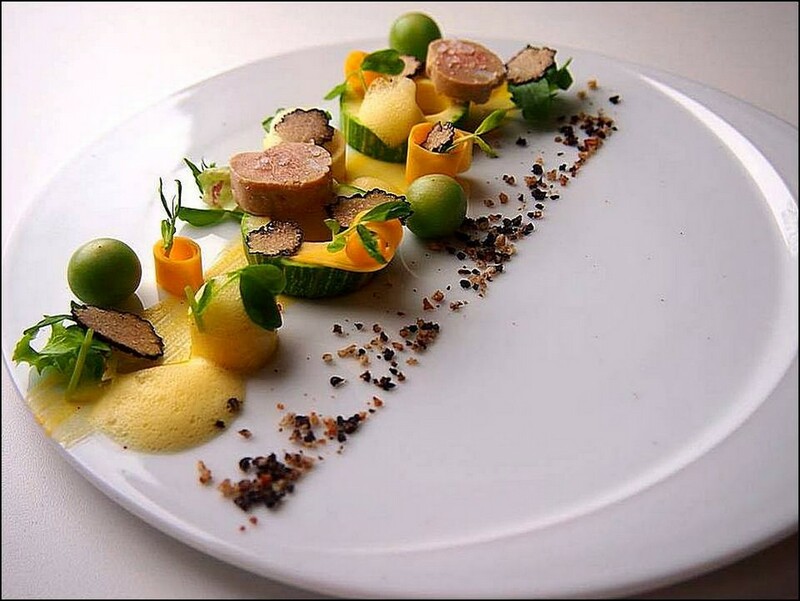 Let us turn to, which Chefs do you believe are the most creative in dressage and plate presentations ? Chef Anne Sophie Pic, Chef Pierre Hermè, Chef Bernard Pacaud, Chef Yannick Alleno, and Chef René Redzepi of Noma. What is your training with regard to dressage and presenting ? Not to only study inside the kitchen. However, to also study, art appreciation, design, and the world of color, tones and hues combining. Who has inspired your culinary career ? Culinary magazines actually. In particular, Chef Pierre Hermè in Paris. 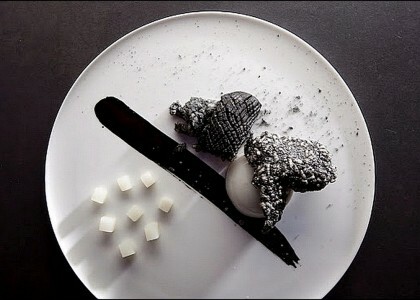 I have always found his magazine photography presenting his desserts impressive and awe-inspiring. Who are your mentors ? The Culinary School, I attended. I have never been an apprentice to anyone well known. However, I frequently attend uncountable short courses and gastronomic seminars as often as possible to enhance my skills, as this is a career where one learns something new every day. 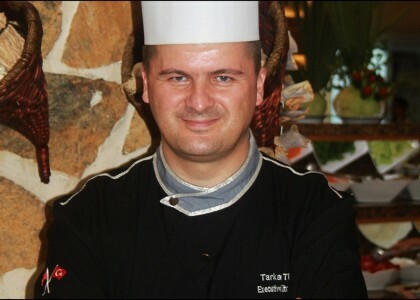 Do you believe, that the training of Chefs, includes enough training on dressage and presentations ? In Japanese culture, it is essential and yes. It has influenced the ambiance of our Japanese aesthetics and the restaurants´ success. 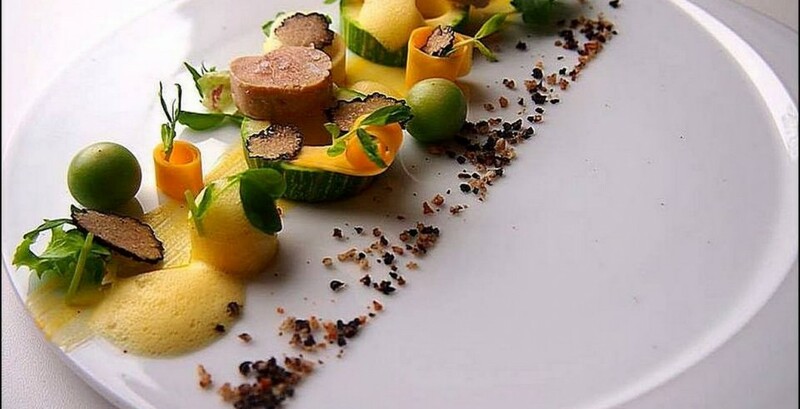 What inspires or motivates your dressage of a dish ? Nature, symbols of Japanese culture, books, websites etcetera ? Sometimes, I find an idea, in an architectural journal, as I am studying architectural design and so for this reason, I think of dressage like an integral part of architecture. 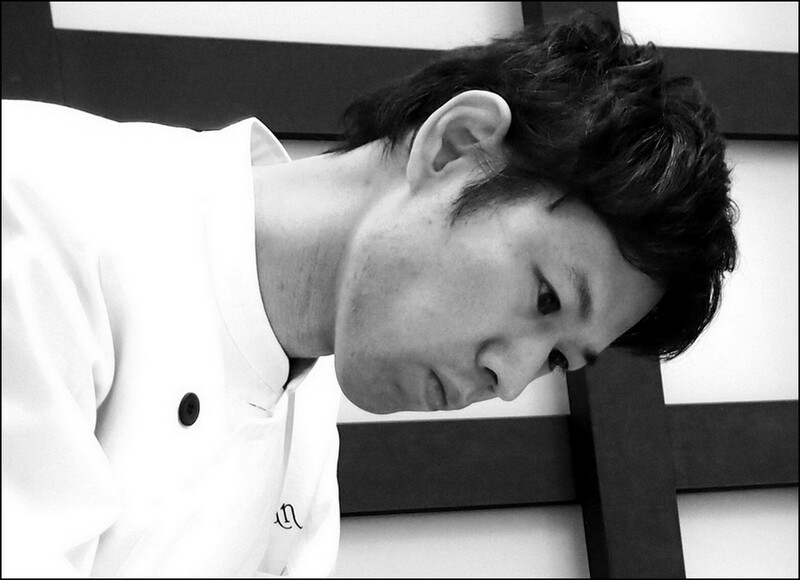 Fascinating Chef Keiichi. Let's move on to, what is your knowledge of Visions Gourmandes Website ? This website extends our values, worldwide, and is a very active means of communication. It is surely an advanced proposed technique specializing in the world of dressage and the gastronomic and the epicurean photographic arts. 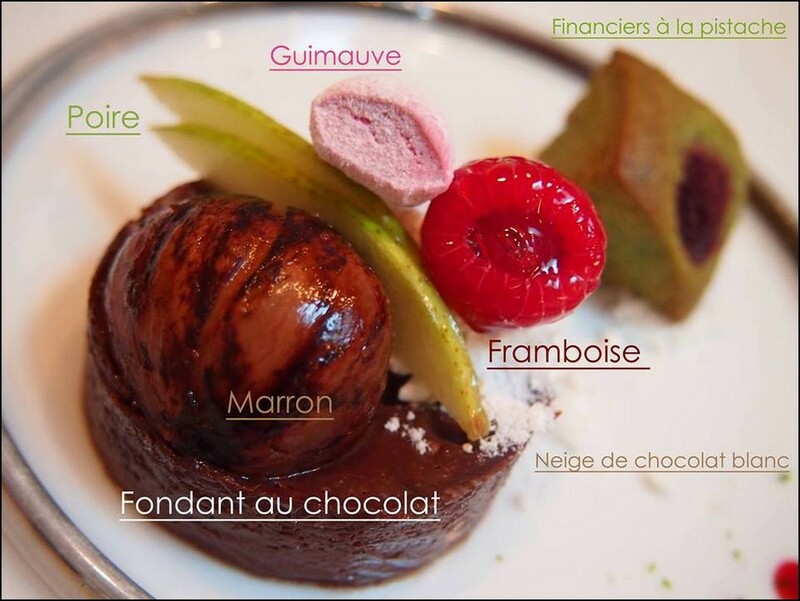 What is your viewpoint on the concept and the information provided by the Website, Visions Gourmandes ? 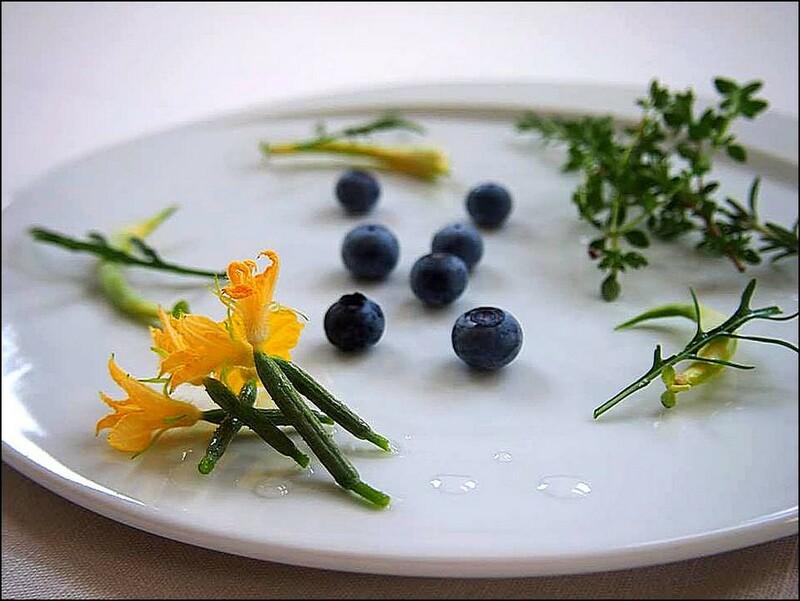 I am completely encouraged and inspired by Visions Gourmandes, and it assists me in planning my ideas for plating. 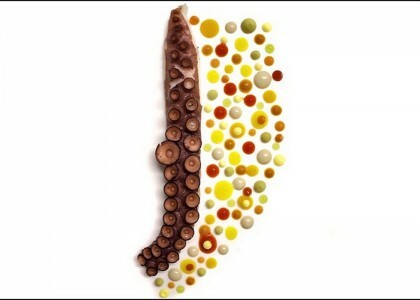 Do you view Visions Gourmandes Website regularly ? Once or twice a week as a rule. What are the topics, you would like to see added to the Visions Gourmandes Website ? For instance, a column on instructions, from Photographer Philippe Germain on the techniques of photographing plates, A to Z. This is a wonderful idea. 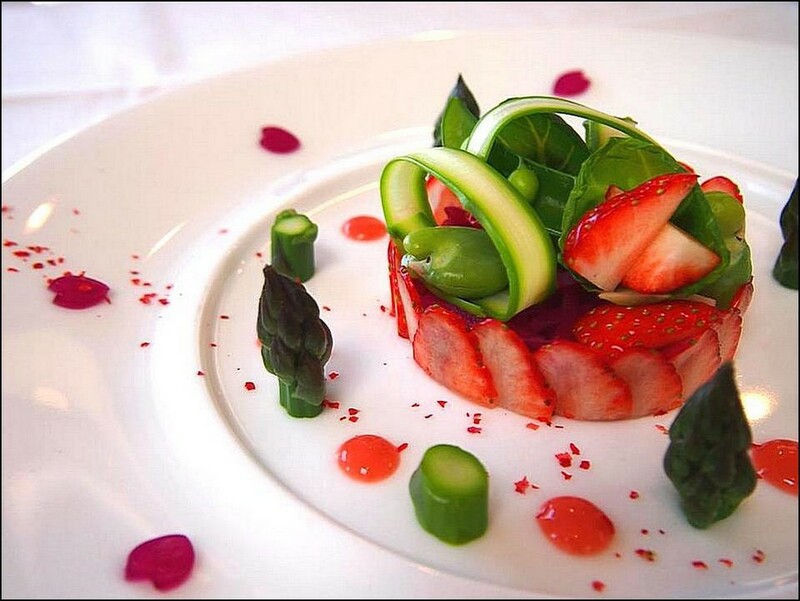 Do you regularly take photographs of your dishes Chef Keiichi ? If so, who takes the photographs of your dishes ? I take my own photographs of my dishes. Do you have a blog or website, where you show your photographs ? Do you take notes, sketch, draw, render / paint the presentations of dressage before you actually show your Team, how you wish the plates to be dressed ? Yes, I sketch new dishes prior to showing my Team my goals of dressage. It is a very important and relevant skill, to present the “goal“ on paper, so that when, you go to actually plate it, you achieve the results you are aiming for. Wow, truly fascinating Chef Keiichi. Thank you very much.